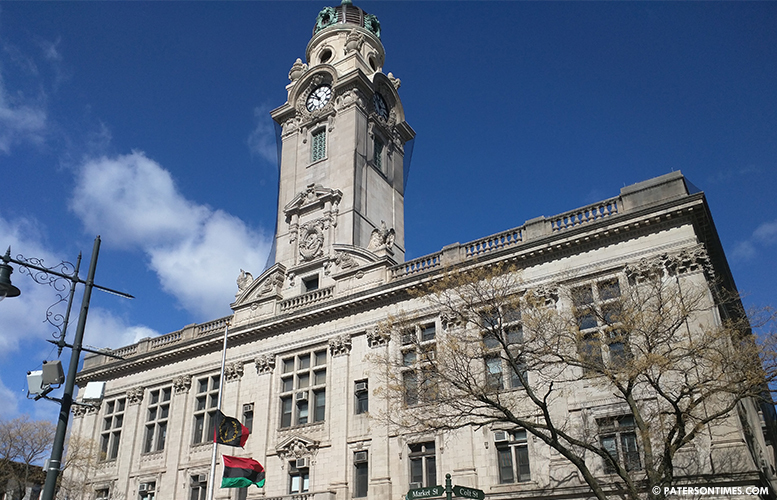 Mayor Jose “Joey” Torres’ administration introduced a budget that reduces the amount of money to be raised through taxation for municipal government by more than $5.4 million, but the cuts will not result in savings for homeowners due to tax increases by the board of education and the Passaic County government. “At the end of the day there will be an increase in taxes,” remarked Kenneth Morris, councilman at-large, on Tuesday evening as the council held a public hearing on the introduced budget. Under the new tax rate of 4.339-percent, up from 4.107 the previous year, the average property assessed at $192,600 will see taxes go up from $7,910 to $8,352, said officials. Similarly, a property assessed at $350,000 will see taxes rise from $14,376 to $15,186. “We didn’t increase the municipal portion. We have no control over county, school, and open space,” said business administrator Nellie Pou. “We’re doing our share to reduce costs.” She said the cost for running city government never goes down, but this year the administration has cut spending. The reduction is made possible by the tax lien sales that were held late into the last fiscal year. Four of these sales generated $11.4 million in new revenue for the city that was carried over to the new fiscal year as surplus. “We literally hit the lottery this year, but that money is not going to be there moving forward,” said Morris, chairman of the finance committee, referring to the tax lien sales. He warned using these one-shot measures to temporarily fill gaps in the budget increases the risk of a significant tax increase in the future. Nine residents took to the podium to speak at the public hearing for the budget. “I’m distraught,” said Jonathan Hodges, a school board member. “Tax sales is not a way to run a city. We need an economic plan not a tax sale.” He said paying $15,000 in taxes alone on a property renders living in the Silk City an impossibility for some of its longtime residents. Brent Nation, an activist, wondered what the city will do if the state gives $19 million or $23 million rather than the $25.25 million requested by the administration. “What do we do? Where is the plan b?” he asked. Council president William McKoy said the speakers’ anger may be displaced. He suggested the speakers also attend meetings of the Passaic County Board of Chosen Freeholders and the Paterson Board of Education to register their opposition to tax hikes. The city’s school board raised the school levy by $2.5 million. The county government increased its levy by $5.5 million. Michael Jackson, 1st Ward councilman, said other municipalities in the county are taking advantage of the Silk City. At least four neighboring municipalities are not at 100-percent of market value, said officials. Torres said the city is considering a legal strategy to force those municipalities to perform reassessment of properties. The overall budget for fiscal year 2017 is $276.53 million, according to city records. To all of my Paterson people reading this- Nellie pou needs to go! She is not doing right with our tax money or for the people of this city! Nellie Pou is hooked in she is a state senator and works for the city, that means two pensions plus whatever she's able to steal she's not going anywhere.